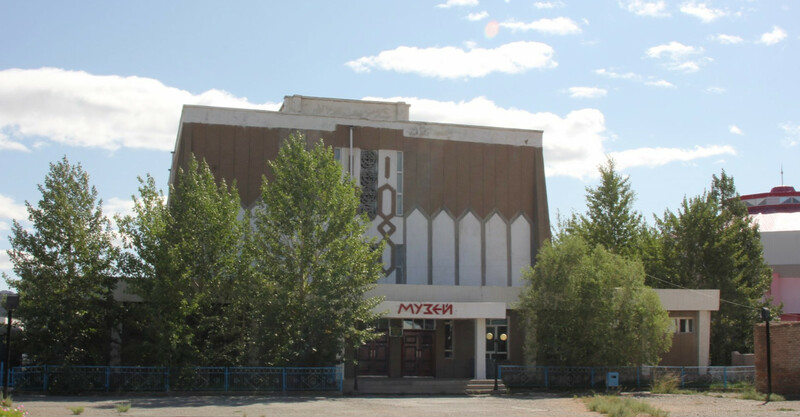 This three story museum provides a great starting point for trips through Bayan-Olgii with displays on local culture, history, and nature. The top floor offers displays of local tribal culture and life, as well as a full size Kazakh ger with photo opportunities. The second floor provides a brief look at the local history, especially the Communist era from 1924 to 1991. The ground floor has a wide variety of stuffed wildlife and a gift shop with traditional Kazakh handicrafts. Outside, you can see a broad selection of standing stones including deer stones and Turkic image stones and another shop selling Kazakh embroideries and handbags. Almost all the displays in the museum have been translated into English. Admission is 5000 MNT. Operating hours are 9-12 and 1-5pm Mon-Fri, and 10-5pm on Sat.